In a piece of extraordinary timing , Italian news services are just announcing that Patrizia Reggiani, the heroine of our musical Mrs Gucci, is to be released from prison today pending an appeal to deliver her to care of the social services. 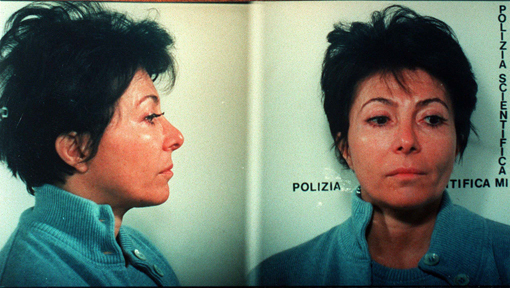 Patrizia, who was convicted of murdering her former husband Maurizio Gucci was sentenced to 26 years in prison in 1997. She failed an appeal several years later, but recently rejected an offer of early release on parole. Her co-accused, the self-styled psychic guru Pina Auriemmma, was sentenced to 29 years and remains in San Vittore prison in Milan. (ANSAmed) – MILAN, SEPTEMBER 16 – Patrizia Reggiani, who was sentenced to 26 years for the murder of her husband Maurizio Gucci, who was killed in ’95, it is free while waiting for the supervising judge evaluate the granting of custody to social services. Reggiani, with an instance of his lawyer, the lawyer Danilo Buongiorno also asked to work at a well-known fashion brand in Milan. Reggiani, who was arrested Jan. 31, 1997, still had to serve 3 years.